Every day, people look for professionals who know how to give them medical treatment, work on their vehicles, cut their hair, or do home repairs. You wouldn’t think of having someone who was unqualified to perform a service that you expect to be right when it is completed. For some reason, when it comes to dog training, people don’t always see the value in looking for a professional who is right for the job. Pet owners often find out after a lot of time and frustration that training a pet is not as simple as watching a video or reading a book and trying to get the dog to do what they want it to. Dog training is essential for teaching a dog basic manners, changing bad behaviors, and improving its social skills so that it is able to interact with other people and animals. The quality of dog training is also an important consideration when considering the best place to take your dog. Below are some tips on what to look for in a dog training to ensure you get the best results for you and your dog. How They Feel About Dogs – This might seem like a no-brainer since they are in business to train dogs but many trainers offer a “one-style-fits-all” approach to dog training that simply isn’t the best way to get the most from every dog. Dogs are unique and their learning behaviors differ just as they do in people. 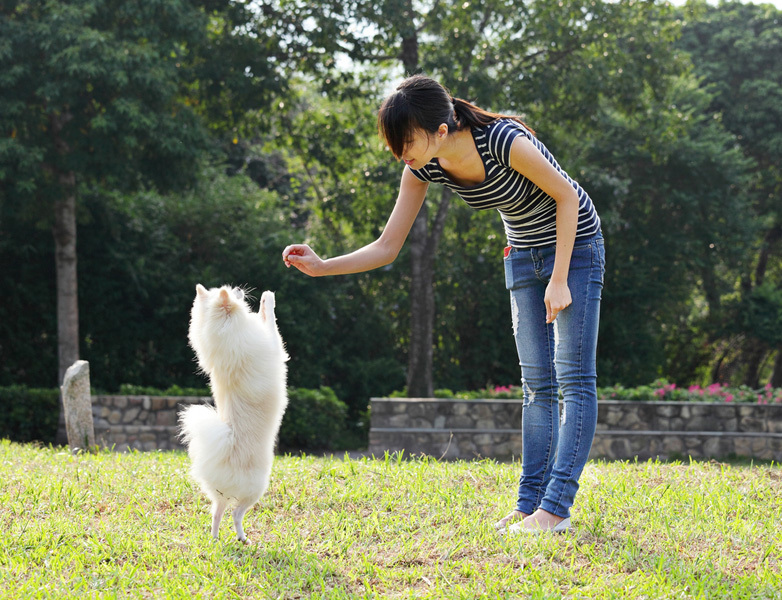 Find out if the dog trainer teaches their system or teaches the dog. Training Methods Used – Ask if dogs are taught individually, as a group, and what activities are used to teach them. Some trainers believe putting a choke collar on a dog and repeating commands until they comply is an effective training method for all dogs. Look for a trainer who believes that dog training should start with the basics. Different activities and settings should be used to help each dog reach its potential by learning in a way that is easiest for them. What Role Will You Play – One reason that many people opt-in to dog training is that they simply don’t have the time to devote to training their dogs. Still, you want to have some degree of interaction to understand what your dog is learning and how to communicate with it once the training is complete. Ask what the school will offer you directly to make your dog’s training count. Of course, experience and previous successes are also important factors that you should consider before investing in any dog training program.